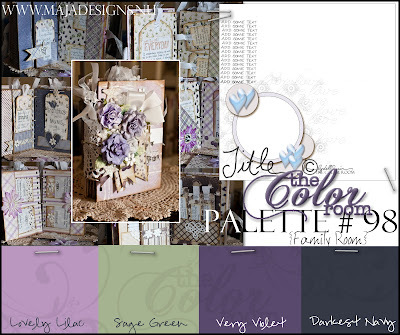 This weeks palette #98 released at The Color Room is a gorgeous combination of lovely lilacs and a dash of sage green. The combo is not one I would normally give a go but I'm always up for a challenge and in the end it proved to be a fun palette to play with. 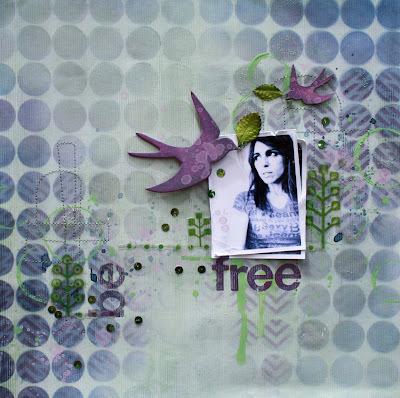 Here's my page of my sis in-law and of course the pretty palette so if your interested in checking the gallery out to see more inspo pop on over to TCR and say hello. What a stunning layout. Your pages are always so interesting to look at. Wow! Wow! Wow! What an awesome lo! Love everything about this! So stunning...love the simplicity, yet so elegant!